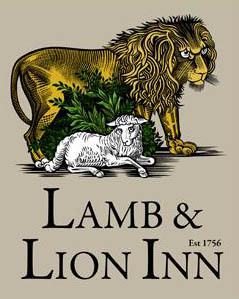 Lamb & Lion Inn York ~ 2-4 High Petergate. Lamb and Lion York. A beautiful 4 storey Georgian townhouse that has been converted into a very smart Inn. Situated adjacent to Bootham Barbican (See York's Bars). Bootham Bar is one of the old medieval portcullis entrances to the walled city of York. 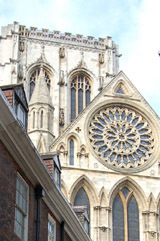 The magnificent York Minster is just around the corner! 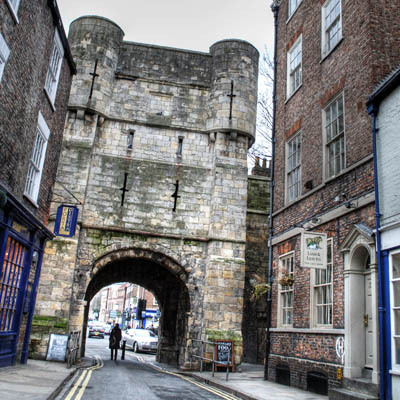 If you walk through Bootham Bar you enter Exhibition Square which has a tourist information and York Art Gallery. 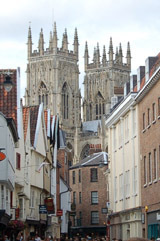 A unique location just 100 metres from York Minster. Built into the Medieval City Walls. 11 individually designed rooms + The Attic with Jacuzzi. Little snugs and log fire. 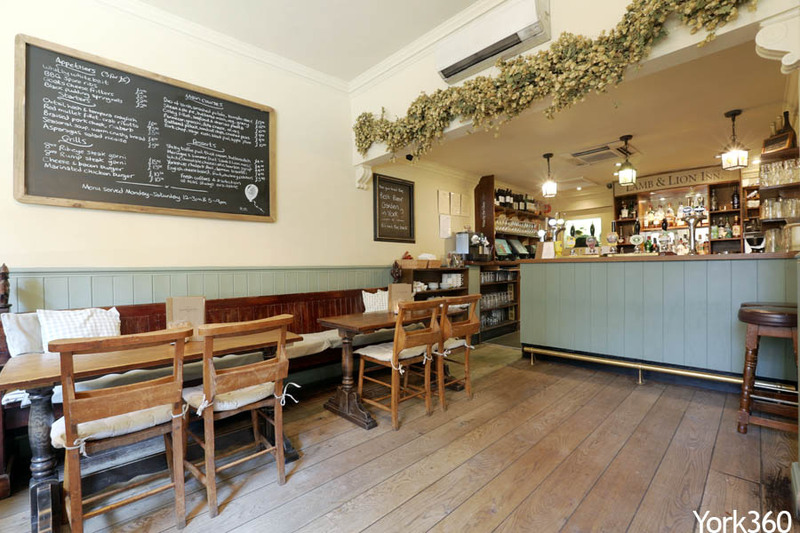 Enjoy simple home-cooked food, an extensive wine and beer selection at one of York’s finest old Inns. Licensed garden with stunning Minster view.